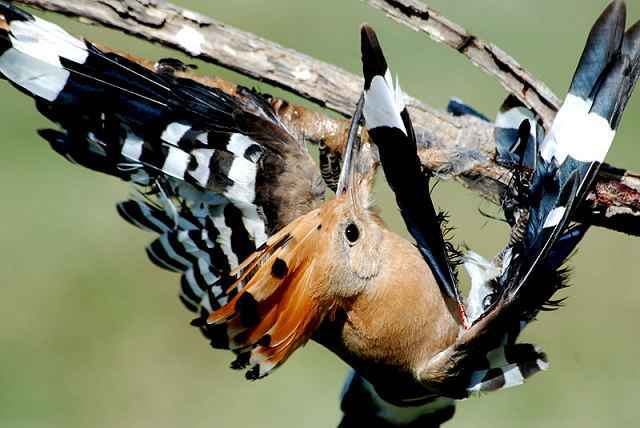 BirdLife Cyprus, the RSPB's BirdLife partner on the island, estimates that over one million birds have been slaughtered since 1st September, as the island's illegal bird-trapping season gets into full swing. The death toll has been estimated following BirdLife's field monitoring of trapping activity as part of its ongoing systematic surveillance programme. The birds, including Whitethroats and Blackcaps, are killed to supply restaurants with the local delicacy ambelopoulia. Autumn trappers target birds that are migrating between Europe and Africa. Red-backed Shrike trapped on a lime-stick (BirdLife Cyprus). Martin Hellicar, Campaigns Manager of BirdLife Cyprus, said: "So far this autumn over a million birds have been killed illegally using mist-nets and lime-sticks in Cyprus and the toll continues to rise each day. We know that the autumn season is the main trapping period and this number is certain to become much bigger by the end of the month unless decisive action is taken now to back up enforcement efforts." Tim Stowe, the RSPB's International Director, commented: "An average of one bird every four seconds is being trapped and killed in Cyprus right now. Shocking as that statistic may be, the real surprise is that many of these birds have been killed within a short distance of the island's holiday hotspots, such as Ayia Napa, and a substantial number have been killed inside the UK-administered Sovereign Base Areas, especially Dhekelia. This slaughter is completely illegal under European, Cyprus and Sovereign Base Area law. It beggars belief how Cyprus — a member of the European Union — and the Sovereign Base Area authorities can allow this massacre to continue year after year. It's time that Cyprus and the UK administrations got a grip of this problem before the island becomes the shame of Europe." BirdLife Cyprus has launched an appeal to gather signatures in a petition that will be sent to Cyprus ministers urging them to take action. The petition has already exceeded 11,000 names. In July, the European Conference on Illegal Killing of Birds, which took place in Larnaca, concluded with a clear "zero tolerance" message and an urgent call for appropriate measures to stop the bird slaughter. BirdLife Cyprus is now requesting that words are turned into action by all competent authorities at all levels. The charity is also calling for decisive action against the restaurants serving the trapped birds, for targeted enforcement against big, organised trapping operations, and for tougher sentences for convicted trappers. Hoopoe on lime-stick (Hüseyin Yorganci). "Such levels of trapping constitute an ecological disaster. Non-selective trapping is taking place on a large scale to feed the demand for banned ambelopoulia delicacies. We want to communicate the scale of this slaughter to the generally indifferent public in order to make them more aware of the issue and its ecological impact," Martin Hellicar added. 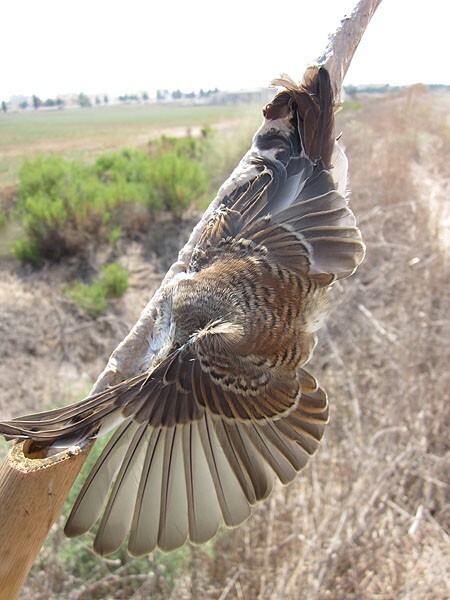 The details of the death toll estimation and the methodology, as well as the petition, can be found on the BirdLife Cyprus website, together with information on why bird trapping with mist-nets and lime-sticks is such a big ecological issue.